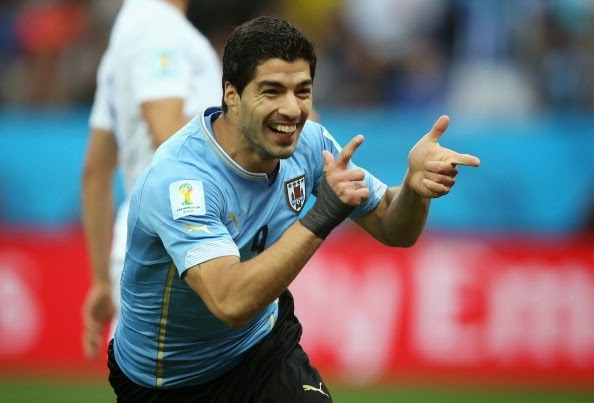 Did Uruguay's Luis Suarez bite an Italian player? 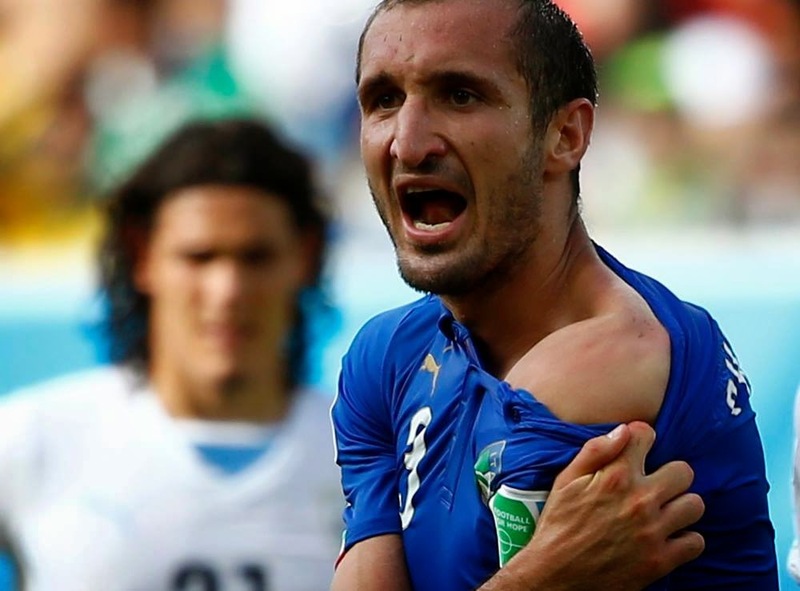 It is an act you would see in Will Ferrell's Kicking and Screaming, or any other five-year-old soccer game, but Urugauy forward Luis Suarez is being accused of biting Italian defender Giorgio Chiellini in the dramatic 1-0 World Cup match Tuesday. Don't believe me? Well let's go to the video tape. If found guilty of the act, according to The Associated Press, the Uruguayan talisman man could face a ban that lasts as long as two years, according to FIFA's disciplinary rules. Then the next step is the official report from referee Marco Rodriguez, then consulting the video evidence available of the incident. The evidence could be inconclusive that FIFA lets Suarez off the hook and will allow him to play in the Round of 16 against Columbia. If you look closely at the image above, you can see marks on Chiellini's shoulder, but it is not confirmed if the images seen on the Internet are photoshopped. In the past, Suárez served a 10-game ban for biting Chelsea defender Branislav Ivanovic during a Premier League game in April of last year. Then there was also the eight-match ban and fine for racially abusing Manchester United's Patrice Evra in 2011. Then his one-match ban for giving Fulham fans the one-finger salute a few months later. You'd think he would've learned his lesson. Apparently not because he received a straight red for deliberately preventing a goal against Ghana in the 2010 World Cup, with his hands. This is the time for FIFA to actually put its foot down on player abuse, they're continually conquering racism and match manipulation, but nothing on letting this clown run amuck physically attacking players like some preschooler on the world's biggest stage. My game is fair play, ain't that right Sepp? Will LeBron James actually leave the Heat?